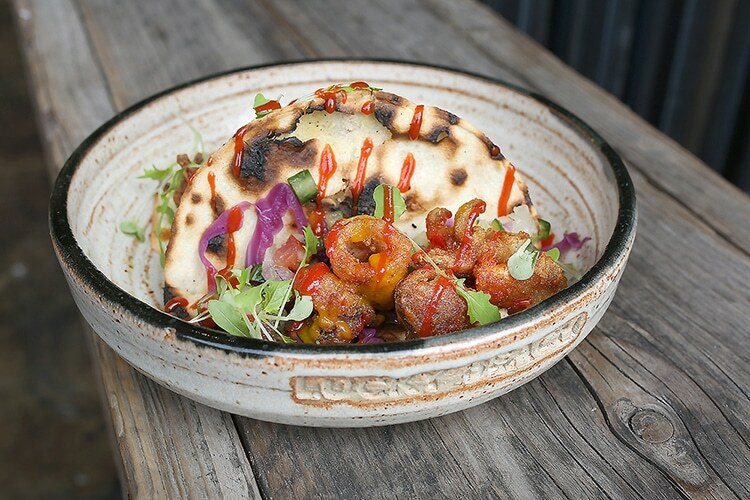 Lucky Beach Brighton is one of those cafes that locals want to keep a secret… with it’s beachfront location and fresh n funky menu you’ll have to get in early to nab a seat. 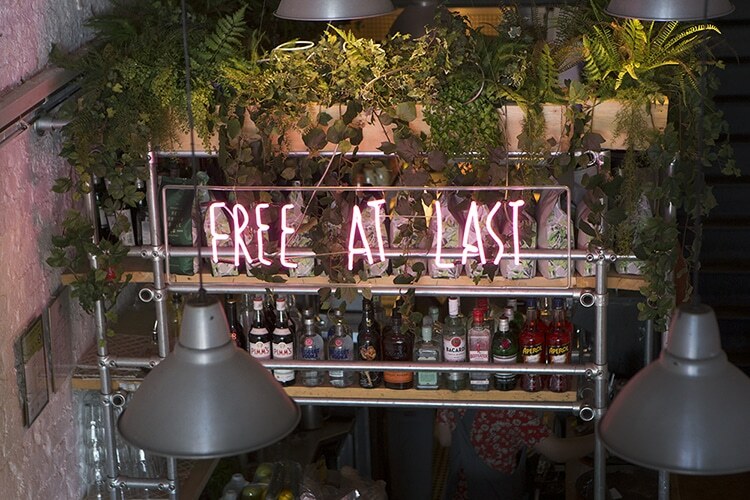 But it’s definitely worth a short wait in order to fill your boots with delicious brunch offerings and top notch burgers. 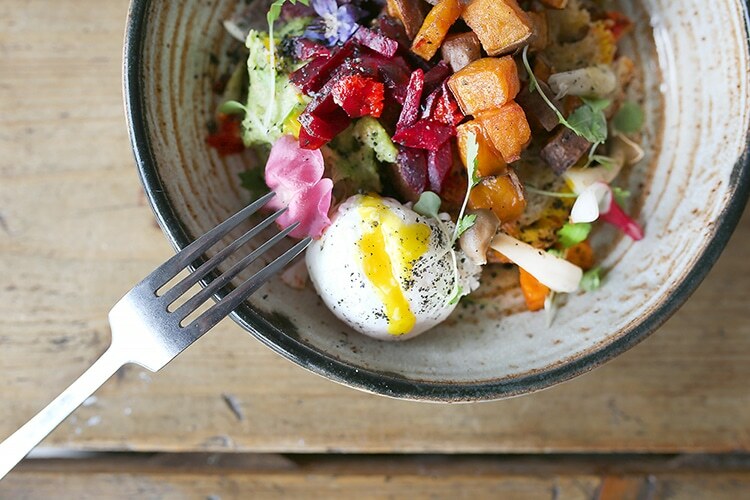 Open year-round, Lucky Beach Cafe serves up some of the best cafe food in Brighton. 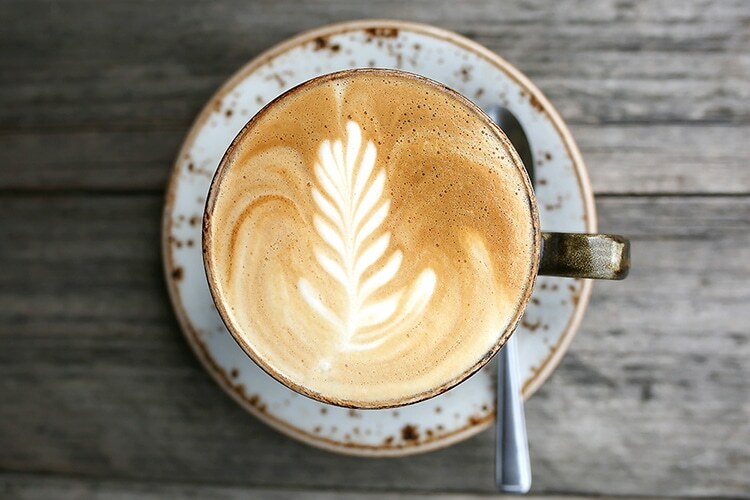 Local, sustainable and mostly organic food and drink is served by a team of friendly staff who are keen for you to get the most out of your visit to both the cafe and Brighton! 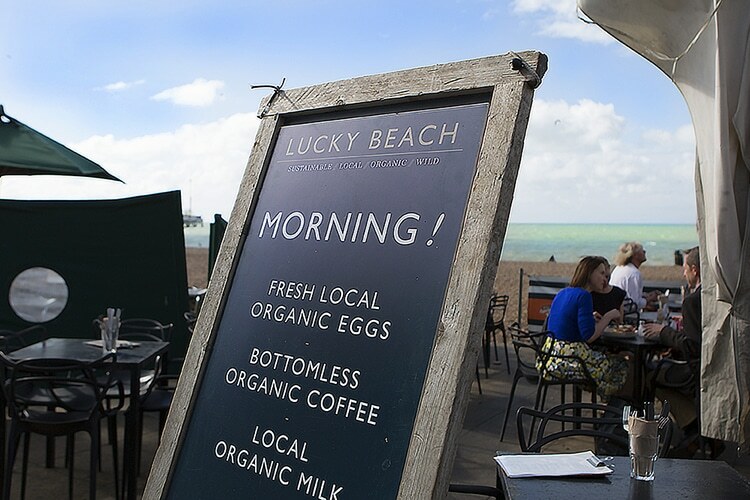 Lucky Beach are members of the Sustainable Restaurant Association and as such, work to reduce their footprint to an absolute minimum whilst supporting local farmers and small businesses. Ready for whatever the weather decides! Inside the fisherman’s arch the cafe is set up for the days when the British weather is not at it’s finest, but when the sun comes out you’ll have plenty of space to enjoy it with 100 seats split between the shaded patio and beachfront tables – perfect for a spot of sunbathing. Lucky Beach takes coffee pretty seriously. Just up the road they run Brightons largest roastery and supply most of the better coffee houses across the city including their own, Redroaster, located in St James Street. 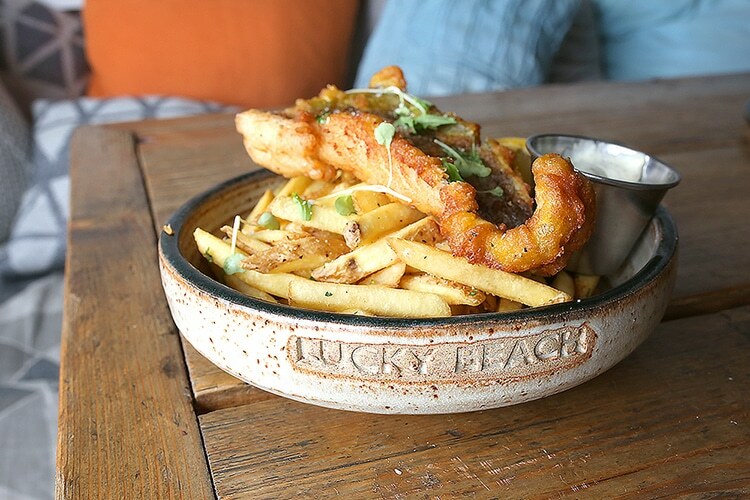 What’s on the menu at Lucky Beach Brighton? The chefs use native breed organic Sussex beef for hamburgers which is grass-fed and dry-aged. Fish is landed locally and delivered each morning so occasionally there might be changes to the menu depending on availability. Chicken and pork is all local and free-range. 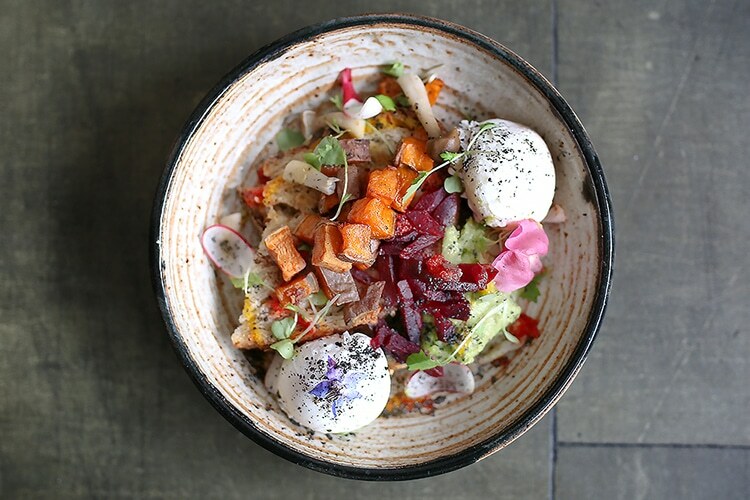 The best way we can think to describe the menu style is almost Californian, plenty of fresh flavours and healthy options for those who don’t fancy a heavy lunch. When the sun shines it’s possibly the best place to be hanging out at in the city. Their famous eggs are local and organic and are from Colombian Blacktails, Lohman Browns and Goldlines and graze on grass and forage outside. 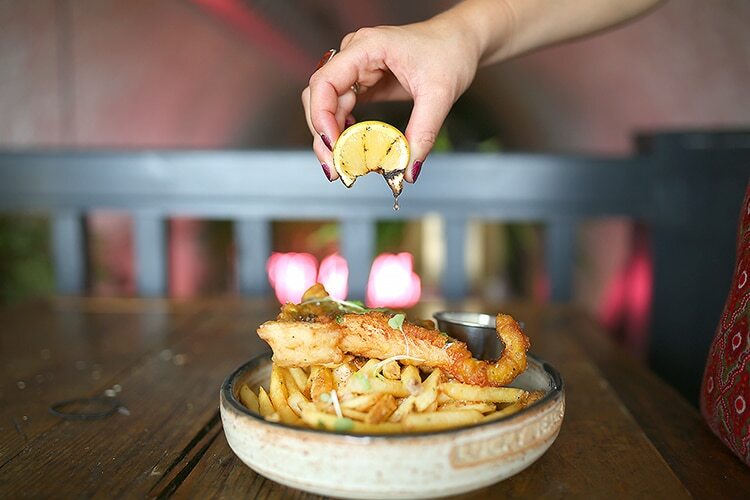 Enjoy classics such as fish and chips and burgers, or choose something light and fresh such as their fish tacos or avocado ‘Vegan Hippy Dip’ sandwich! 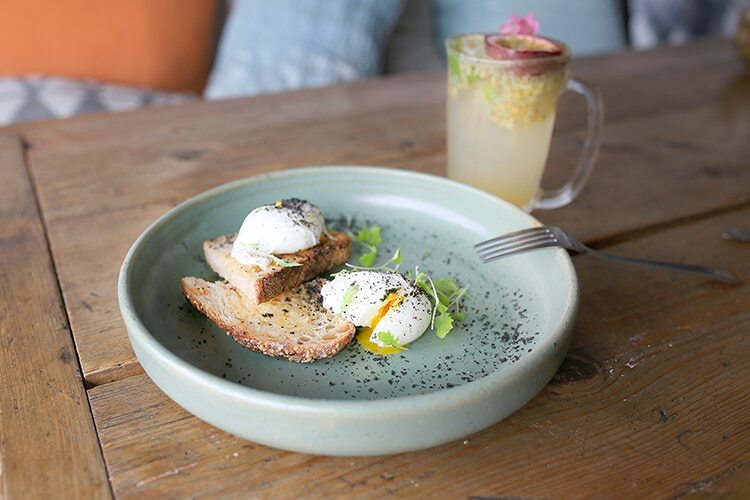 The brunch menu is served until 11.45am and is well worth getting up early to grab a seat on the beach – their coffee is roasted locally and treats such as avocado on toast and brioche french toast is sure to awaken your tastebuds. 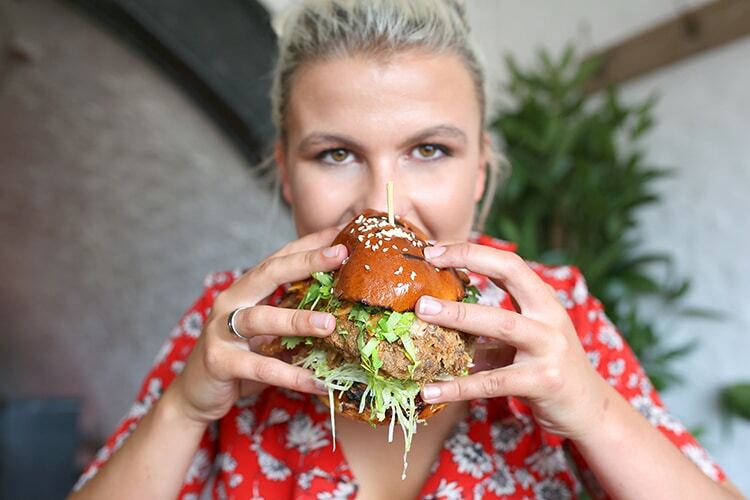 Lucky Beach have been awarded the UK’s ‘Best Organic Burger’ by Elle, now that’s definitely worth visiting for! 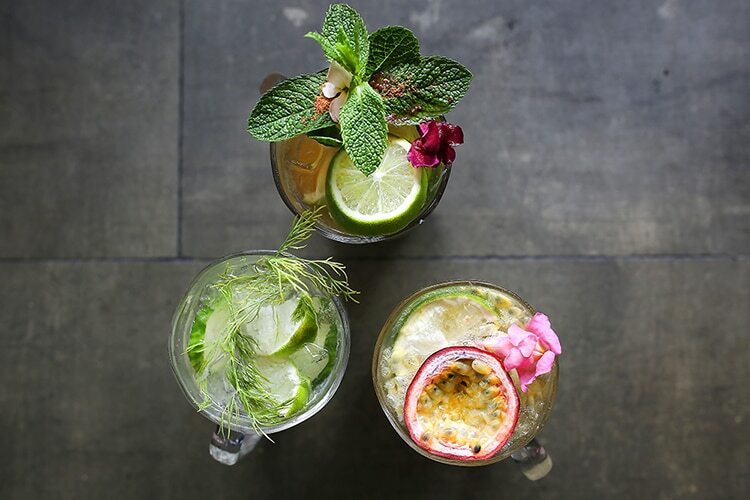 Lucky Beach offer some of the most delicious booze-free drinks in the city, including beetroot lemonade, elderflower fizz, and fresh passionfruit fizz – perfect if you’re head is a little sore or you just fancy drinking something soft. Bottoms up! Lucky Beach have fundraised to help build a school in Musenyi, Rwanda. They did this through hosting an event where their staff all worked for free and and local suppliers donated food & drink to be served. Michelin Star specials were served and guests would enjoy a day of great food & drink whilst supporting a good cause. Look out for more events held at Lucky Beach. Absolutely gorgeous breakfast so we’re going back for evening dinner. Gorgeous breakfast with local produce, you couldn’t ask for much more on a sunny day on the beach. Staff were all very nice indeed. Thank you!! The bubble waffles and fried chickin for breakfast were so good that we came back for lunch. Not many places as good as this right on a beach. We very much recommend. The burgers at Lucky Beach are great! I love the tomato leather they add, a twist on ketchup. The halloumi burger with a thyme roasted flat mushroom & red peppers very tasty. A prime spot on a sunny day. On a sunny day it just doesn’t get much better. The menu has something for everyone – our niece loved her burger and I love the fish tacos! 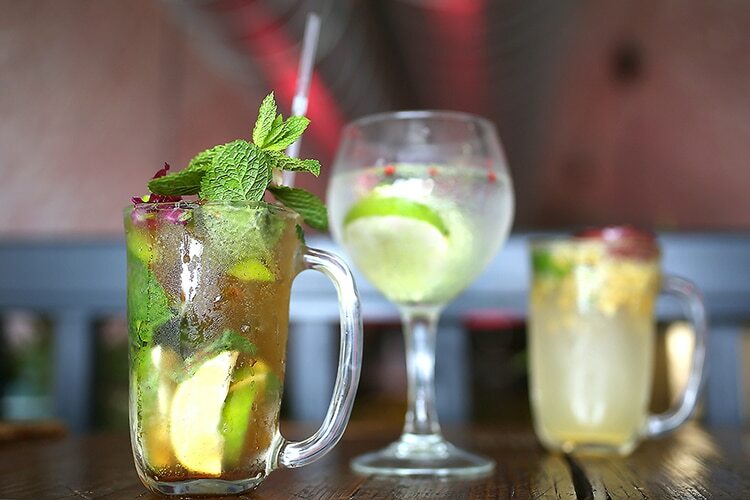 A great selection of non-alcoholic interesting drinks.